Park Lane Estates is a Central London & Home Counties Estate Agency & Real Estate Brokerage that specialises in the sales and lettings of Central London, Home Counties and International properties. We cover all of central London: Mayfair, Belgravia, St. James's, Marylebone, Bayswater, Westminster, Pimlico and Knightsbridge as well as much of the surrounding areas within zone 1. With access to over 1500 properties directly as well as through our network of affiliate agencies throughout the capital we can offer you a comprehensive selection to choose from. If you are looking for a property to buy or rent or if you have one you are considering selling or letting out, please call us for a free, no obligation appraisal and valuation. We are happy to be your one stop shop for all your London property needs. Park Lane Estates is a company challenging the standard concept and processes of a typical London Estate Agency. We have deliberately kept the company small enough to be niche and offer unrivalled quality customer service yet large enough to offer most of the benefits of any large multi-office agency. Unlike many agencies that need to deal with thousands of buyers and sellers just to survive we understand that what most people need is good honest impartial advice on the industry and market. As a result we are more than willing to talk to anyone with an interest in property and answer any questions they may have. We are here to help and we don't charge a fee for our advice. We have all worked in the property market for many years both in Central London and abroad and have built up unique experiences that help us and our clients. In Central London knowledge and understanding of the complete market is key. London is the most international and diverse city in the world, and so are its property buyers and sellers. As a result we understand the need for flexibility in all stages of the buying and selling processes. Whether it is late night viewings or popping in to keep a check on a vacant property we are more than happy to help. Because we have such a streamlined and focused operation every customer and buyer counts so we offer the very best personal service possible. Unlike other agencies if we don't have the ideal property on our books we will go out and search for it. We want to give you all the options so you can make the best balanced choice. 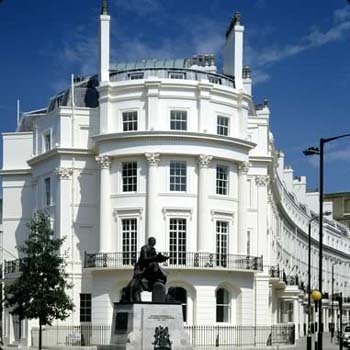 We operate from our Head Office in SW1 but cover the whole of central London. We also offer properties across the traditional boundaries of a typical local agent. We believe that our property brokers should understand and sell across all the different Central London areas rather than just focus on one such as Mayfair. By doing this it allows us to offer a comparison to our buyers, so often a buyer will register for one area and then discover another and buy there. We are not in the business to loose out on these cross-border purchases. So we cover all of 'zone 1' especially the post codes of SW1, W1, W2 and all of the surrounding areas too. Our company aims to to offer the best level of service and advice in the industry. Rather than focus on increasing in size and thus losing our focus and control of the company we would rather go niche and remain small enough to keep service levels and responsibility to our registered buyers and sellers, tenants and landlords. We are a completely flat organisation, everyone of our brokers has an equal responsibility and fair reward in keeping Park Lane Estates the best way to buy, sell and rent in the industry. We look forward to helping you find your perfect property.